A Guide To Backpacking Around Australia. Australia believe it or not is a rather large Country, and they don't have towns appear every 10 kilometres. There are towns that simply do not have anything near them for hundreds of kilometers. It's important to plan ahead and know how you are going to get there and where you are going to stay. LifeSocial allows you to create an online itinerary and you can share your itinerary with friends and loved ones. You can use the itinerary planner as a standalone or incorporate rideshare trips found on LifeSocial. 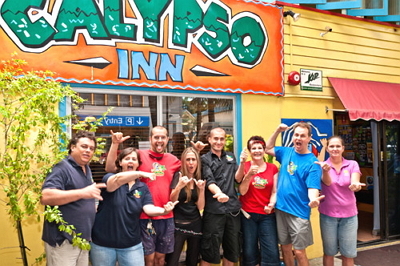 There are backpacker hostels all over Australia, but this does not mean you don't need to book early. The great news is that the Australian backpacker market is competitive and this means you get better quality and better prices. Some backpacker hostels are very basic and others known as 'flashpackers' have all the mod cons you would get from a plush hotel such as ensuite bathrooms with hairdryers and towels provided, stylish private rooms with TV's, and electronic key-cards. Most hostels will offer dorm style accommodation which you share with other backpackers, and double room, private accommodation. Some hostels even have campsites which is a cheaper option if you have your own tent. Backpacker's hostels will usually have shared kitchen facilities, a reception/tour desk to help you with any enquiries about the area, some will have a cafe or kiosk, and some will also provide bike hire and surfboard hire. Most hostels will provide linen but not towels. But these are not the only options available, backpackers who are staying in one place for any length of time are better off either renting a house, or a room in a house. We'd highly recommend you check out Airbnb https://www.airbnb.com.au. You will find great places at good prices and it often works out cheaper than staying in a hostel in the long run. Travel - So what are the best methods of transport around Australia? Australia's train system is one of the worst in the world and should not be relied upon. Buses in Australia are cramped and uncomfortable, especially when you consider you maybe on a bus for 10 - 20 hours. Cycling. Australia has good cycleways but it's not practical for longer distance trips. Purchase a cheap car - this is not such a bad idea as it gives you the freedom to go where ever you want when you want. Cars in Australia require Rego and Insurance so you will be up for this cost after buying the car. If anything goes wrong with the car you will also have to foot the bill to repair the car, which can be expensive and this naturally eats into your travel money. LifeSocial Rideshare allows people to find others going in similar directions. You may find someone driving and join their ride. You can even post your trip on the site and have others find you. The other service LifeSocial offers is Free one way car hire. Sound to good to be true? Well it's not. They have hundreds of cars at any one time needing to be taken to a certain destination. They often include limited fuel costs, and other expenses. This will vary per vehicle offered. The only catch is that you must return the vehicle to the destination within the given time frame. If you cannot do that, it's advisable not to use the service. The types of vehicles on offer range from Sedans to Campervans. 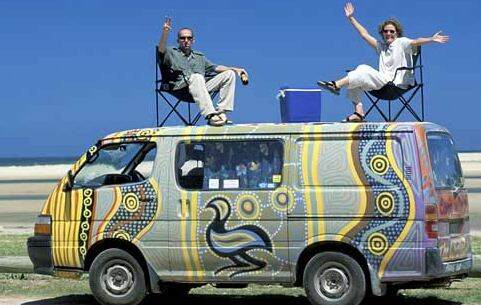 Campervans being the more popular with backpackers. Whilst the Australian summer months are the most popular for backpackers, you will often find that you get better deals on accommodation and tour bookings during the quieter shoulder season and winter months. The most popular destinations such as Byron Bay are usually booked solid through the summer months (roughly November to March) so you will have more flexibility travelling in the winter months. Australia is known for it's sunny weather, but lately we have not lived up to that. The weather changes almost 4 seasons in one day. 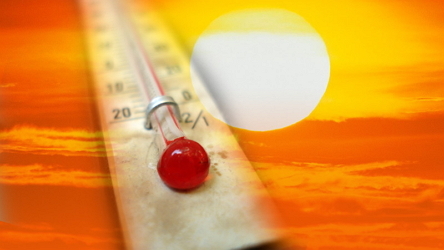 During the summer months the southern part of the country can experience extremely high temperatures and dry conditions. As you get further north, the humidity is quite high, and the top part of the country experiences its rainy season during the summer - with high humidity, tropical thunderstorms and abundant rainfall. Peak season for sightseeing in Tropical North Queensland, and the Northern Territory is during the winter months when conditions are dryer and not so hot and humid. Pre-pay mobile phones can be bought from supermarkets, post offices and communications outlets sometimes for as little as $29. To stay in touch with family, there are internet cafe's setup in backpacker hubs and free internet in Starbucks and a variety of other retail places. In many places, travel companies will offer backpackers free internet time to lure backpackers into their travel shops in the hope they will book some travel or tours! Most hostels will also provide computers for internet access. Australia is rated as one of the most expensive countries in the world, especially when it comes to accomodation and housing, but in saying that Australia does offer good budget options for backpackers. You will need a credit card, most backpacker hostels and hotels require a credit card number to secure a booking. Ensure that you have enough money to cover you during your stay, especially while you are looking for work. If you are planning on staying in Australia for an extended period of time, it's worth opening up an Australian bank account and depositing money in that. This will save you on overseas withdrawl fees, and you will have added security that you are not needing to carry around so much cash. You will need an Australian address and 100 points of Identification to open an Australian bank account. It is important to have travel insurance organized for your trip before you leave to go travelling. Travellers from some countries on certain visas may be entitled to some medical care benefits through the Australian public healthcare system, Medicare. However most medical expenses will leave you out of pocket, so make sure you are well covered on your travel insurance. Make sure you have organised your visa before you travel. Australia is very strict with visas so it is imperative that this is in order upon arriving in Australia. If you're planning a short sight-seeing trip you can obtain a tourist visa. The most popular backpacker visa is the Working Holiday visa which enables people between the ages of 18-30 to travel and work in Australia (with limitations) usually for 12-24 months. Check with your local Australian embassy to see if the Working Holiday Visa for Australia is available in your country. Let's first point out that to work in Australia you need to have a Working Holiday Visa. If you don't have a Working Holiday Visa don't risk it, it's not worth it. Working Holiday Visas restrict the length of time you can be employed in one particular job, so it's suitable for temporary and casual work. Common types of employment for backpackers include fruit-picking, hospitality, cleaning, office temping in the cities, and laboring. Backpackers are often employed in the backpacker sector - doing promotional work like handing out flyers for backpacker party nights and backpacker tour companies, and working in backpacker hostels. Some of these jobs are paid and some are for free accommodation. Another good option for backpackers is to join the Wwoofing scheme - WWOOF stands for Willing Workers on Organic Farms, and hosts all over the country provide food and board in exchange for work. This is a great way to experience another side of Australia, away from the main backpacker trail. Last of all, keep Australia clean. Pick up garbage and place it in a bin or take it with you and dispose of where there is a bin. Ensure camp fires are extinguished properly with water when finished. Don't leave bottle and plastics around, it's a hazard for our animals. If your car is outputting lots of black exhaust, get it checked. If you see injured wildlife report it to the RSPCA.